Due to the natural beauty of Sabah, it has become one of the most popular tourist destinations in Malaysia. Along with that, the internet users has increased dramatically in Sabah. And, a lot of them are now intending to open a blog or website for themselves representing their business or personal activities. If you are one of them then you have come to the right place. Because we are going to share all the necessary information about some of the top web hosting services for users in Sabah, Malaysia. We will include both international and local web hosting services in this post for you. That way, you can choose the best fit for your needs. SiteGround actually needs no introduction. They are one of the most popular web hosting companies in the world. It was 2004 when SiteGround was founded by a few friends in Bulgaria. Since then SiteGround didn’t need to look back. Now, they are trusted by the owners of about 1,900,000 domains. They are popular because of their professional service. Along with that, the price range of their web hosting plans is also very affordable. Siteground provides almost all kinds of web hosting plans such as shared, cloud, dedicated, enterprise and even reseller web hosting. They also have special WordPress and WooCommerce web hosting packages. They have 4 data centers all around the world. But there’s good news for our readers from Sabah. One of those data centers is situated in Singapore which is closer to Sabah. And, you might already know that it is very important to host your website in a data center as close as possible to your web visitors. So, it will be a wise decision to choose SiteGround as your web hosting provider if you are from Sabah. Siteground is also sincere about their uptime record. They are actually maintaining 99%+ uptime on a regular basis. How do we know that? For your information, this website (ReviewPlan.com) is hosted on SiteGround. So, we are keeping the track of the uptime record of our website from the beginning. And, from that, we can say that they are 100% reliable in case of quality uptime. Not only that but also they have very high-quality servers. Because of that, they have performed so much better in some of our tests regarding their website load speed, server response time, and ping time etc. We have conducted all those tests from the perspective of our Malaysian readers. So, if you are from Sabah it will be a perfect fit for you. You can read all about the review and test result of SiteGround here. SiteGround’s another great trait is that they are very helpful to their customers. They have 24/7 customer support system. You can use several methods to contact SiteGround. But the best and fastest way would be to use the ‘Live Chat’ option. As we are using SiteGround for a long time, we have needed to get in touch for a number of times with them. Every time we have had a welcoming experience. But most importantly, SiteGround always solved our problems quickly. You will also love their customer support if you are a newbie or even a professional in this field. 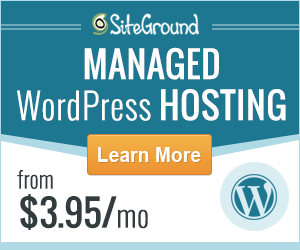 Added to that, SiteGround is actually recommended by WordPress team officially. So, we would undoubtedly recommend SiteGround for our readers from Sabah. Exabytes is a celebrated name in the local web hosting community in Malaysia. They have introduced web hosting locally in Malaysia initially. They have started their service in 2001. Over time, they have improved their service and introduced new hosting plans. Thus, they have become one of the most used web hosting services in Malaysia. Another cool feature of Exabytes is that they have website domain registration facility. You can register most popular TLDs including .my (ccTLD for Malaysia) from Exabytes. If your website is intended for visitors from Sabah then .my will be very helpful for your website’s SEO and reliability. Exabytes has different kinds of web hosting such as shared hosting, WordPress hosting, VPS hosting and even dedicated hosting. Moreover, their VPS servers are equipped with SSD (Solid State Drive). So, your websites hosted on those servers will be about 20 times faster than normal HDD (Hard Disk Drive). Exabytes is good for all types of websites whether it is a business related site or a personal blog. 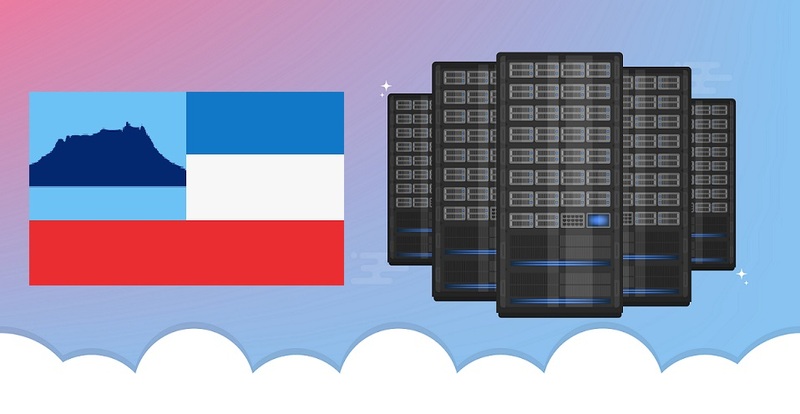 As they have their own data center in Malaysia, they will be a perfect choice for the users from Sabah. Their hosting plans are also very affordable. So, it won’t be a problem getting a deal with them for an individual user from Sabah. They have also very strict policy about supporting their customers. You can contact them anytime if you want to. However, the response time might be not so fast, as they are still a local web hosting company. However, Exabytes has up their game on customer support recently. They are now responding to every complaint of their customers as soon as possible. So, we can easily recommend Exabytes to our readers from Sabah. They are another top level web hosting company. HostGator is very popular to the webmasters all around the world. It was founded by a university student as a startup company. But, now they have become a top web hosting industry all over the world. HostGator is known for their low priced but attractive web hosting plans. They are suitable for all types of webmasters whether you need a small blog or a big enterprise website. They have a wide variety of web hosting plans such as Cloud Hosting, WordPress hosting, VPS hosting, and dedicated hosting. If you are trying website creation for the first time, you can start with shared web hosting. But if you have bigger websites then you can start using any of the other advanced web hosting plans. HostGator has a number of data centers all around the world. But, for security reasons, they have not clearly stated where those are located. Despite that, we have conducted various tests to find out about the performance of their servers and approximate locations of their data centers. It is possible that they have a data center somewhere in India. And it is good that India is near to Sabah, Malaysia. So, if you host your site with HostGator, it will be perfect for your local website visitors. HostGator has a good reputation for their customer care team. They have 24/7 customer support team standby. You can get in touch with them anytime from wherever you want to. They also have a huge collection of helpful articles and video tutorials on their website and their YouTube channel. You can learn a lot about web hosting from those knowledge base articles and instructional videos. Overall, we will definitely tell you to try HostGator if you are from Sabah. They can be another perfect fit for our readers from Sabah. They also have a data center in Mumbai, India. That means, if you have a website which gets visitors from within Sabah, it will perform better if you host the site in that particular data center of Bluehost. Bluehost has come into the web hosting scene back in 2003. Matt Heaton was the founder of Bluehost. However, after a successful run, he sold his company to EIG (Endurance International Group). And, now the company is getting bigger day by day. At this moment, they are powering over 2 million websites globally. You can choose between shared, WordPress, VPS, reseller, dedicated web hosting from Bluehost. Fortunately, all the web hosting plans are very budget-friendly. So, it won’t be a problem to find a suitable web hosting plan for yourself. They are also renowned for their awesome customer service. You will find them 24/7 from anywhere in the world. And, added to they have got 99%+ uptime. Their website speed and ping time are also exquisite. You can read all about these here. So, you can go with Bluehost without any hesitation. A2 Hosting has started their journey as ‘Iniquinet’ in 2001. First, it was founded as a hobby. But over time, they have become a global phenomenon in web hosting. Right now, they are providing almost all forms of web hosting solutions from shared, Reseller, VPS to dedicated web hosting. There is a uniqueness in the hosting plans of A2 Hosting. They provide both Linux and Windows OS based web hosting simultaneously. You have to remember that the price of the Windows OS based plans is a bit higher than the Linux based ones. We have talked about A2 Hosting in detail here. They are offering SSD hosting on most of their hosting plans. Added to that, they have an awesome tool named ‘Server Rewind’ – it is a backup tool. With this, you can take a backup of your websites’ data with just a few clicks. And, the best thing is that it is totally free. A2 Hosting is well known for their fast page loads, industry-standard uptime, and professional but friendly customer support. If you host a site on A2 Hosting, you don’t have to worry about the load speed of that. As they have experimented with a lot of settings on their servers and made them perfectly optimized for faster performance. Another important thing about A2 Hosting is that they are totally an independent company. Nowadays it is so rare to find a good quality web hosting service which is not owned by a big company. So, if you are from Sabah and thinking about going with A2 Hosting, there’s no problem with it. It will be perfect for you. It is one of the oldest local web hosting from Malaysia. They were founded in 2003. Since then, they are being recognized as a top web hosting company in Malaysia. They own their own equipment and they have their data centers in Malaysia. So, for the webmasters of Sabah, it could be a perfect web host. Because if you use Server Freak, your website will be hosted within Malaysia. As a result, it will load so much faster to the visitors of your websites who are residing in Malaysia. The web hosting packages of Server Freak are also very reasonable. You can choose from 6 packages. Another top local web hosting in Malaysia is Shinjiru. The company was founded back in 1998. However, they have become one of the most reliable web hosting companies in Malaysia. Thus they have acquired a lot of big clients. However, they offer web hosting of all sorts. You can get hosting services like shared, dedicated, and VPS hosting from them. The good news is that the packages are very inexpensive. Shinjiru also has their data centers in Malaysia which are a plus for our readers from Sabah. They have been in the web hosting industry for over 15 years now. At this moment, there are about 50,000+ users of IPServerOne. As they are also a local web hosting from Malaysia, it could be a great option for the users from Sabah. They are known for providing shared, cloud, and dedicated hosting. Added to that they also offer domain registration and email hosting. You will love their web hosting packages as they are very cheap. Web hosting is an integral part of a website. There are a lot of factors you need to think about before choosing a web host for you. First of all, you need to think about the performance and then you have to consider the quality of the service. That is why we have tried to compile all the crucial factors about all these top web hosting services here. We hope that by reading these article, you can assess the quality and the service of these popular web hosting services yourself. Afterward, you can come to a decision to choose the most suitable web hosting for you. That’s all for now.